“Knit together in one communion and fellowship: Anglicanism, communion and conversion”. “Apologetics: Retrieving our Older Precedents”. – The proposed “comprehensive revision” of the BCP in the Episcopal Church. The Revd. Dr. Paul Avis, Universities of Exeter and Durham, The Very Revd. Dr. Laurie Thompson III, Dean of Trinity School for Ministry PA., Dr. Jesse Billett, Trinity College, University of Toronto, Dr. Stephen Blackwood, Ralston College, The Revd. Fr. Gavin Dunbar (Society President), The Rt. Revd. Michael Hawkins, Bishop of Saskatchewan, Dr Paul Julienne, The Joint Quantum Institute, University of Maryland, The Very Revd. Dean William McKeachie, Charleston, The Revd. Canon Alistair Macdonald-Radcliff (PBS International Advisor), Dr. Neil Robertson, University of Kings College, Halifax, Dr Christopher Wells (The Living Church), The Rt. Revd. Dr. Christopher FitzSimons Allison, Retired Bishop of South Carolina and others…. The Revd. Dr. Paul Avis spent twenty-three years in parish ministry in the Diocese of Exeter and was then General Secretary of the Council for Christian Unity of the Church of England, 1998–2011, and Theological Consultant to the Anglican Communion Office, London, 2011–12, producing Becoming a Bishop: A Theological Handbook of Episcopal Ministry (Bloomsbury T&T Clark) for the bishops of the Anglican Communion. Paul has been a Chaplain to HM Queen Elizabeth II and consecutively Prebendary, Sub Dean and Canon Theologian of Exeter Cathedral. He has served on the Doctrine Commission, the Faith and Order Advisory Group and the General Synod of the Church of England. He has been a senior inspector of theological colleges and courses since 1998 and serves on the Inter-Anglican Standing Commission on Unity, Faith and Order. He has been a member of the international Anglican-Baptist and Anglican-Methodist dialogues. He is currently honorary professor in the Department of Theology and Religion, University of Exeter, and honorary professor in the Department of Theology and Religion, University of Durham; editor-in-chief of the peer-reviewed journal Ecclesiology and editor of the Anglican-Episcopal Theology and History series published by Brill. The Anglican Understanding of the Church: An Introduction, published by SPCK. He has written on conciliarity in Beyond the Reformation: Authority, Primacy and Unity in the Conciliar Tradition (T&T Clark, 2006). He is also the editor of the Oxford Handbook of Ecclesiology (Oxford University Press, 2017). Paul serves as an honorary assistant priest in the Axminster group of parishes, Diocese of Exeter. The Very Revd. Dr. Henry L. Thompson III is the Dean of the Trinity School for Ministry in Ambridge PA. where he first arrived in 1997 after spending 19 years in parish ministry. He has led the Doctor of Ministry program since 2001 and has also served as the Dean of Administration and most recently as the Dean of Advancement where he played an important role in the “Reach for the Harvest” campaign which raised $15.4 million. A specialist in Liturgy, Dean Thompson’s current research interests focus on the history of Anglican liturgy and the interface of Cranmerian theology with the Emergent Church Movement as well as the the Collects, the theology of Confirmation and the relations of biblical theology and worship. He is also interested in the wider lessons of Anglican history for leadership in an Emergent environment today. Dr. Bayer has taught Political Philosophy at Patrick Henry College since 2008. Before coming to Patrick Henry College, she taught at the University of King’s College, Halifax, Nova Scotia, Saint Mary’s College, Leavenworth, Kansas, and George Mason University, Fairfax, Virginia. Dr. Bayer teaches courses on the American Founding, Medieval Philosophy, and contemporary Christian thought. She has been the long serving editor of the Anglican Way magazine on behalf of the Prayer Book Society of the United States, and has edited a volume of essays entitled Reformed and Catholic: Essays in Honor of Peter Toon. Dr Blackwood was educated at the University of King’s College, Dalhousie University, and Emory University and has been a Fellow in the English Department of Harvard University. 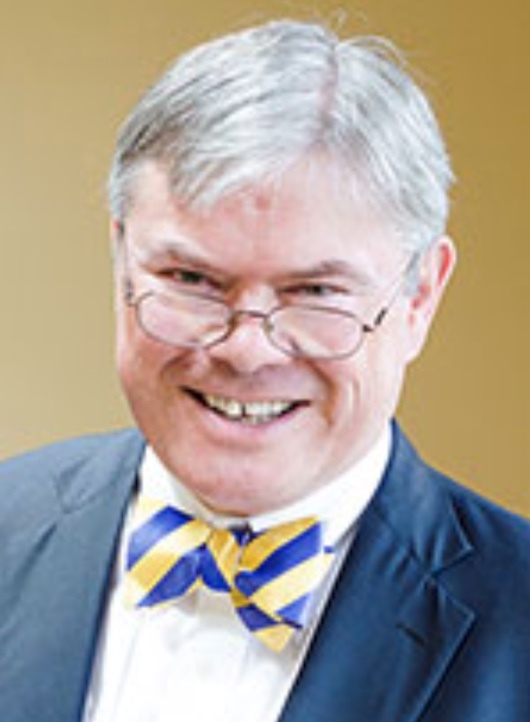 He is the founding President of the proposed Ralston College, a start-up institution of higher education based in Savannah, Georgia. His research interest lie in the literary history of philosophy having undertaken is doctoral work on Boethius. A naturalized American, he was born in Canada and educated in Toronto and Halifax. He was ordained a priest in Nova Scotia in 1992. A regular writer and lecturer on Anglicanism and the history and theology of the Book of Common Prayer, he has most contributed to the English Prayer Book Society’s volume of essays commemorating the 350th anniversary of the 1662 Book of Common Prayer, entitled: The Book of Common Prayer: Past, Present, & Future, edited by Prudence Dailey and was a contributor at the 2016 Pusey House Conference Transforming Vision Knowing and Loving the Triune God He has also written the volume of Apologetics I am His. This covers the resources needed for a one year Adult Education Classe through twenty five weekly chapters. Its three main sections explore progressively what it means to belong, to believe and to follow Christ, as this has been understood and set out in the Anglican tradition. http://www.pbsusa.org/ministries/ This work is part of the continuing Catechesis Project of the Society. Michael W. Hawkins is the current Bishop of Saskatchewan. He was previously, from 2001 to 2009, the Dean of Saskatchewan and Rector of St Alban’s Cathedral. Hawkins studied at Dalhousie University and the University of King’s College in Halifax before becoming a Master of Divinity at Trinity College, Toronto. He was ordained as a deacon in 1988 and a priest in June 1989. He then served as rector of Pugwash and River John from 1988 to 1993 and Petite Rivière and New Dublin from 1993 to 2001 in the Diocese of Nova Scotia and Prince Edward Island. In 2001 he was appointed rector of St. Alban’s Cathedral, Prince Albert and Dean of Saskatchewan. He was consecrated Bishop of Saskatchewan on 6 May 2009. In 2009, Hawkins received an honorary doctorate from the University of King’s College. Bishop Hawkins is a trustee of the Elliott House of Studies. Dr. Paul S. Julienne has recently retired from his career as a physicist at the National Institute of Standards and Technology and the Joint Quantum Institute of NIST and the University of Maryland. He has published over 250 scientific papers on the theory of quantum processes in atomic, molecular, and optical physics and his research interests cover the the Theory of Ultracold Atomic Collisions, with Special Emphasis on Scattering Resonances, and Development of Computational and Analytical Models for Collisions in Free Space and Optical Lattices, Theory of Photoassociation and Other Means of Cold Molecule formation and Manipulation, Theory of Ultracold Quasi-Two-Electron Atoms, Such as Ca, Sr, and Yb, and Their Applications. He is a regular contributor to the Science and Faith website Biologos https://biologos.org, as well as to the online Anglican Way. He was previously Quondam Dean of All Saints’ Cathedral Cairo and served as Director General of the World Dialogue Network and C-1 (and Council of One Hundred Leaders West-Islamic Dialogue (C100) launched when he was Senior Advisor to the World Economic Forum He later advised the King Abdullah Dialogue Centre (KAICIID) in Vienna (launched by Treaty with Spain, Austria and the Holy See as Founding Observer) and has assisted Bishops on international and development matters around the world. He is also a Fellow of the Caux Round Table and has advised the Royal Society of Medicine in work on issues relating to end of life care and the wider role of spirituality in Medicine. He first studied ancient history, philosophy, and theology, being educated at the Universities of London and Oxford as well as Yale where he was a Research Fellow in Philosophical Theology and took a degree with International Relations and Islam. His research topic was the “Conceptual Credibility and Coherence of the Christian Claim to Revelation.”. The Very Revd. William McKeachie retired as Dean of South Carolina and Rector of the Cathedral Church of St. Luke and St. Paul in Charleston on May 1, 2009 and is currently Vicar for Parish Ministry at St. Andrew’s Parish, Fort Worth. He was closely involved as President in the Mere Anglicanism Conferences in Charleston. Born in New York City, he was educated at the University of the South, Sewanee, from which he was graduated in l966 and then undertook further theological studies, as well as university teaching, in Canada, until returning to England where he was ordained priest, pursued post-graduate work, and served as chaplain-in-residence at St. John’s College, Oxford. In 1973 he was appointed to the staff of the Anglican Bishop and Cathedral of Toronto where, as Diocesan Theologian and University Chaplain since when has been active in Anglican-Roman Catholic and Christian-Jewish Dialogue and served as Secretary of the Faith and Order Commission of the Canadian Council of Churches. During his time as Dean in Charleston he was also President of the Society for the Advancement of Christianity in South Carolina as well as President of the Christian/Jewish Council. Dr. Robertson is researching Leo Strauss and Neoconservatism in the Bush White House, and, as well, Descartes’s contributions to the development of Modernity. Dr. Christopher Wells grew up in Grand Rapids, Michigan, in the environs of Calvin College, supplemented by frequent side trips to the United Kingdom. He earned a B.A. at St. Olaf College and at Yale Divinity School he settled on patristic and medieval theology as a disciplinary home, while continuing to study the history of modern thought and researching ecumenism. At the University of Notre Dame, Wells pursued doctoral studies in historical theology and served as a lay leader in the Diocese of Northern Indiana. He joined the Living Church Foundation in 2009 where is he is the Executive Director and Editor of the Living Church Foundation. He oversees the publishing, budget, fundraising, marketing, and staff of TLC, and with his colleagues articulates the evolving mission and program of the foundation in collaboration with elected leadership. He is affiliate professor of historical theology at Nashotah House Theological Seminary, where he teaches courses on Thomas Aquinas and Anglican ecclesiology. He has also taught at College of the Transfiguration, Grahamstown, South Africa, and the University of Notre Dame. He has published articles on Aquinas and ecumenism in the Anglican Theological Review, Ecclesiology, The Journal of Anglican Studies, and Pro Ecclesia. In 2014, he completed a round as theological consultant to the Anglican-Roman Catholic dialogue in the U.S. (ARC-USA). By taking Christ as Word as its focus, the present study aims to elucidate the most basic theological and rhetorical structure of Thomas Aquinas’s Summa theologiae, without which claims of christological centrality in the work as a whole remain intuitive and gestural at best. Two, principal theses order the procedure. First, Aquinas identifies Jesus Christ as Word in the prima pars in a series of questions on the Trinity that consolidate and elaborate his earlier claim in the first question that God is the “subject” of the science of sacred doctrine. To speak of the Word is always to have invoked the other divine persons as well; and all that “theology” has to say about creation, the moral life, and redemption proceeds from this singular origin and condition of the discipline: “the word of God” (sermo de Deo), in the mode of revelation. Second, therefore, interpretations of the Summa that emphasize the diffusion of Christology throughout the work must come to grips with Aquinas’s articulated preference for the name Word for the second person of the Trinity. This decision invites a constancy of association of wisdom, for instance, with the Incarnation and passion of the Word, who may be experienced by the faithful. The sapiential character of sacred doctrine subsists in this exemplary Word because the words of Scripture, reasoned arguments, and sacramental words are all ordered by his perfect utterance: a curriculum of holiness unto salvation.